XYplorerFree is a multi-tabbed dual pane file manager for Windows, featuring a powerful file search, a versatile preview, a highly customizable interface, and a large array of unique ways to efficiently automate frequently recurring tasks. It's extremely fast and light, it's innovative, and it's fun! 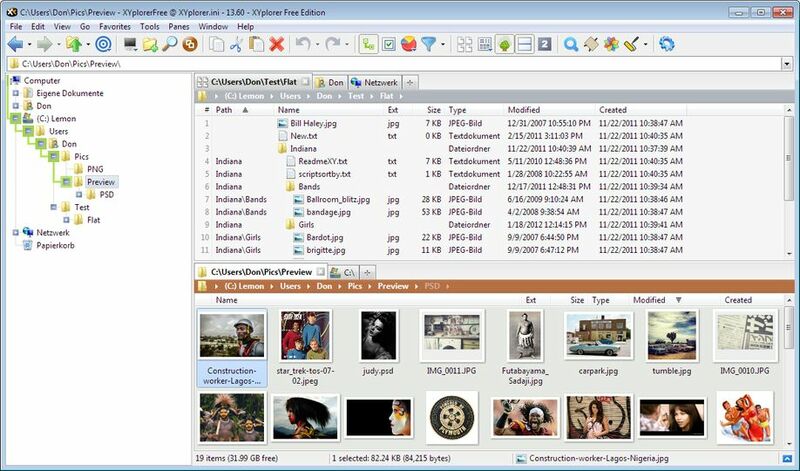 XYplorerFree, the XYplorer Free Edition, is a free feature-limited version of XYplorer. No nags, no ads, no hassle. And no costs. You may use XYplorerFree for commercial and non-commercial purposes.